The Bolt series is Bare Ground's fastest acting ice melt liquid available. The Calcium Chloride (CaCl2) formula is used by professionals because it's fast acting and safe for all surfaces. And it works down to -20 degrees. Why scrape snow and ice when you can easily spray on liquid deicing solution? Less stress and strain means fewer sore muscles and less likelihood of heart strain. Bare Ground liquid is environmentally safe, bio-degradable, water soluble, non-staining and non-toxic to people, plants, pets and livestock. 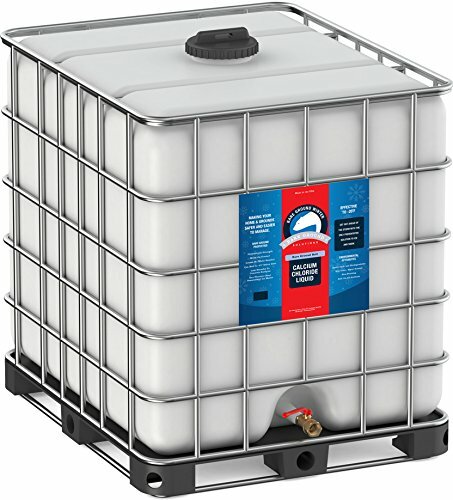 This 275 gal tote is the most economical size for professionals that clear snow and ice. No shelf life means you can save whatever you don't use. If you have any questions about this product by Bare Ground, contact us by completing and submitting the form below. If you are looking for a specif part number, please include it with your message.